Range: Baja California peninsula and some associated islands. Status: Threatened because there are currently no conservation plans. Diet in the wild: It is known to feed on rodents and will probably eat lizards as well. Diet in the zoo: Pretty much the same. 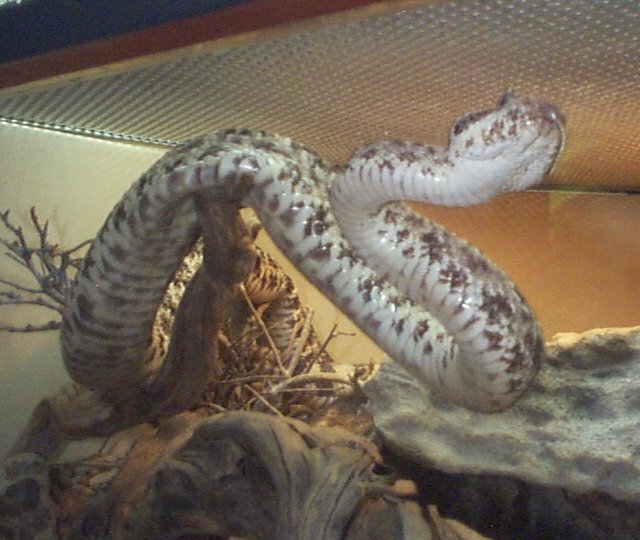 The underside of the snake is cream colored with brown dotting. 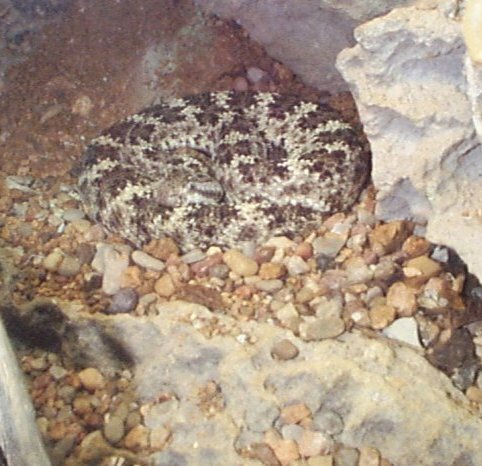 The Baja Speckled Rattlesnake emerges from eggs that are carried in the mother until they are ready to hatch. 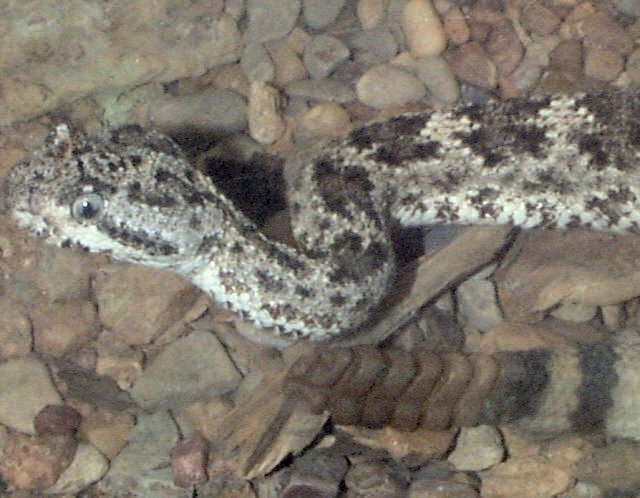 The characteristic rattle is formed from the "caudal" end of the skin when the snake sheds it. The button of the rattle, and an attached ring of the old skin are retained on molting, and the ring of the old skin clasps the button of the new. A snake may shed its skin up to four times a year, so the number of rattles is not an indication of how old it is like so many believed. 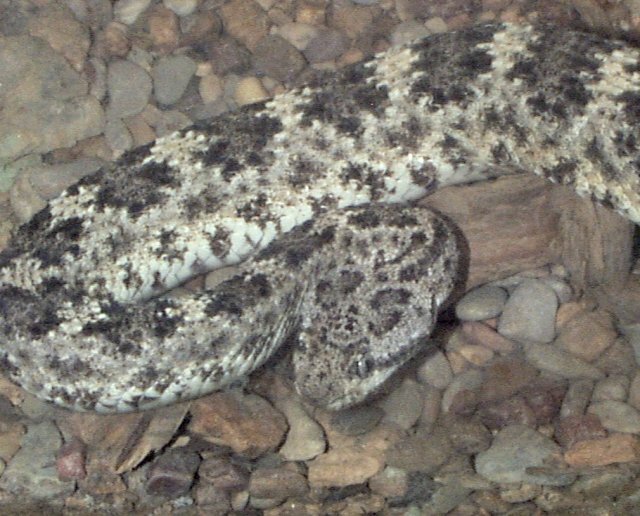 The poisonous apparatus of the rattlesnake consists of two glands, one in each cheek, connected by ducts to the base of two long, hollow teeth in the front of the upper jaw. The jaw is constructed so that the fangs may be erected for striking or folded back into the mouth when not in use. 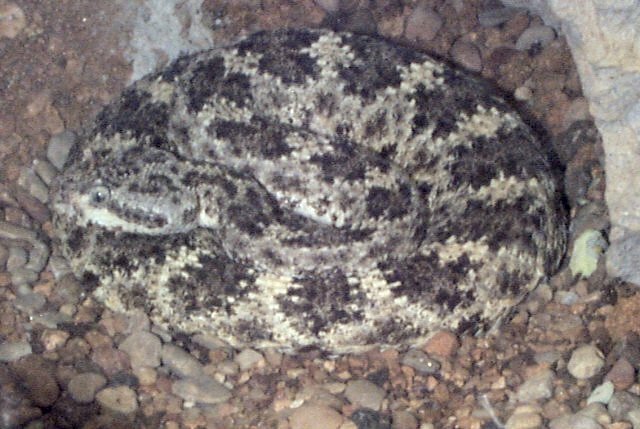 The venom contains at least two poisonous substances, both protein in nature. One is a powerful depressant of heart and lung action; the other is a tissue-disintegrating agent. Unfortunately, the snake was not very active on the day that I went to see it. It basically just sat there, occasionally moving its eyes or rattling its tale. Other than that it was fairly inactive. Gadd, Laurence. Deadly Beautiful: The World's Most Poisonous Animals and Plants. Macmillan, 1980.